Nitrile Touch Gloves by Atlas--the ultimate garden and work glove. The result of years of research with new materials. Seamless, breathable, and out-performs leather without the bulk. Machine washable. 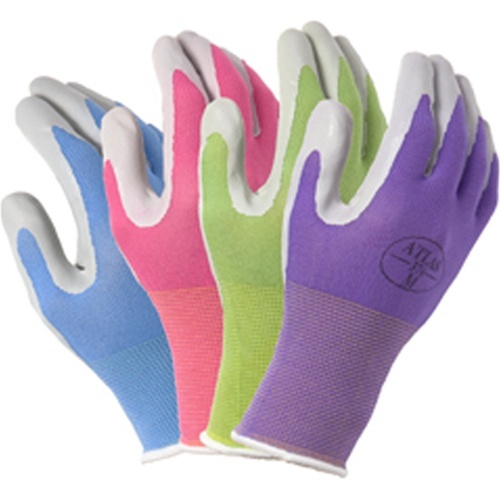 Tough nitrile coating over ergonomically shaped, seamless knit for unprecedented comfort, dexterity, and durability. Fits like a second skin, wears like iron, and out-performs leather. Machine Washable.